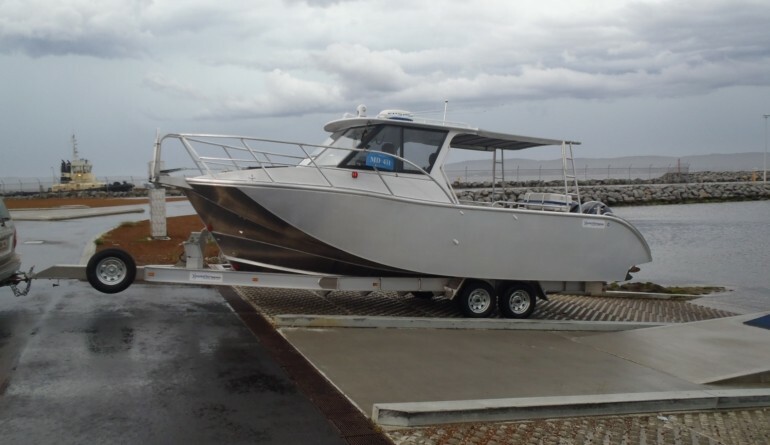 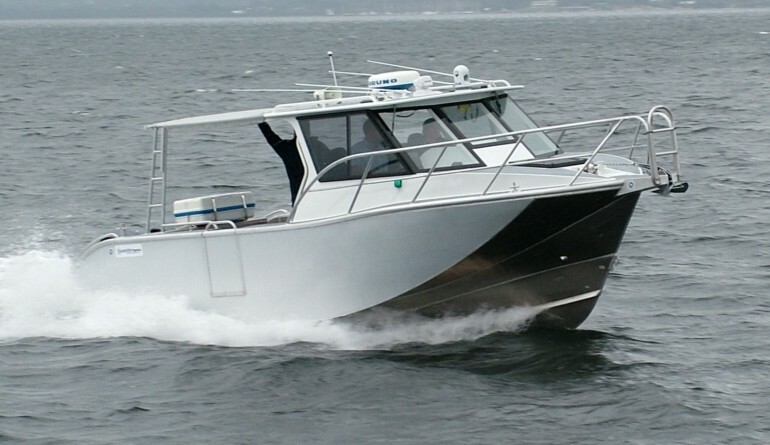 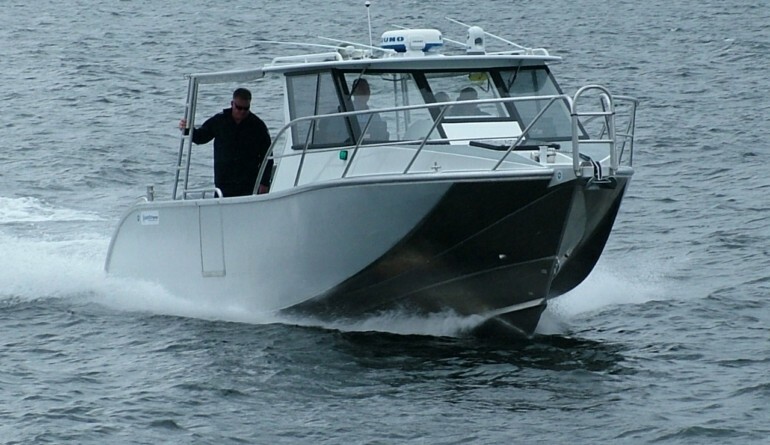 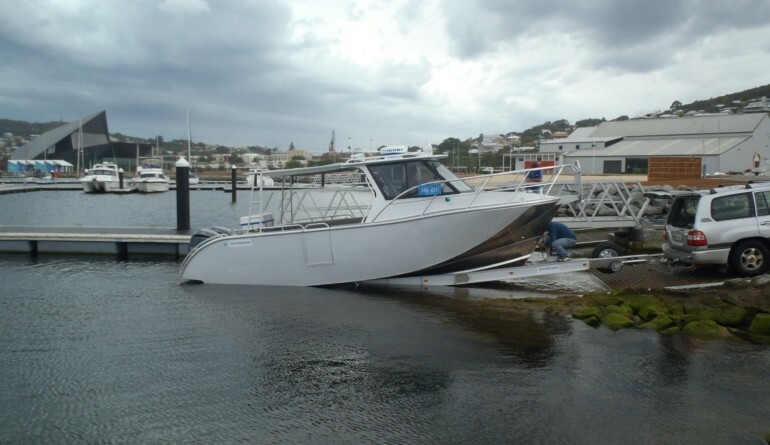 The “Almban”, Launched in November 2011 by Westerberg Marine of Albany in Western Australia, was custom designed by GMD specifically to suit the needs of the Bardi Jawi Aboriginal Rangers based at One Arm Point in the remote North West of Western Australia. 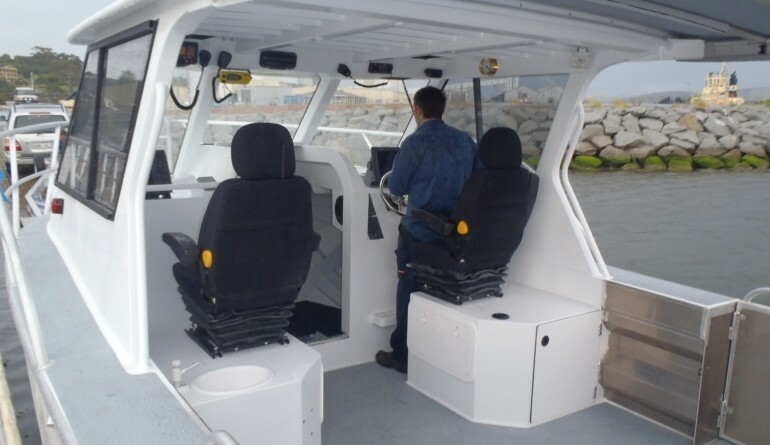 This was the first of the small Air Riders to be designed and built entirely to the new National Standards for Commercial Vessels (NSCV) rules. 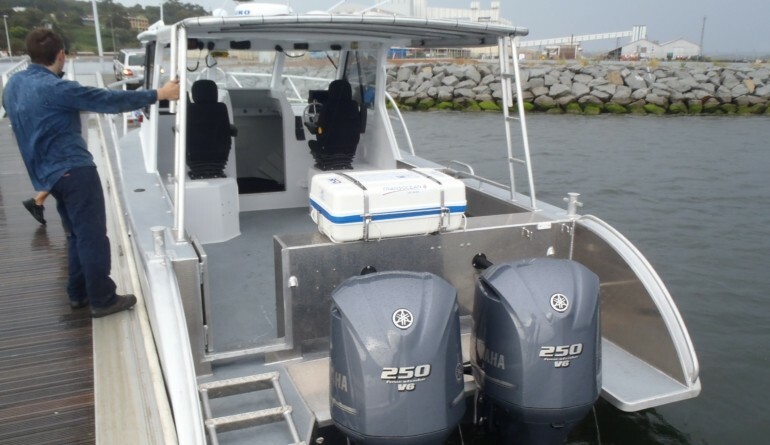 This large volume vessel which is certified for 6 commercial divers plus 2 crew, demonstrates the required increase in hull size to comply with the new rules. 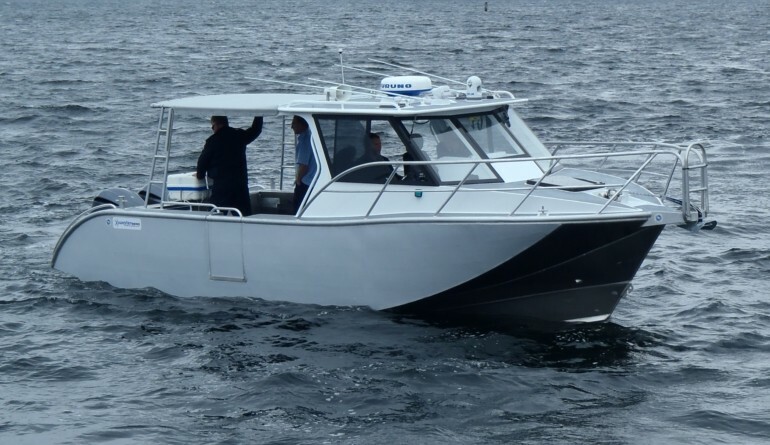 The vessel will carry out a whole range of roles from Marine parks patrol through to youth education and seamanship training. 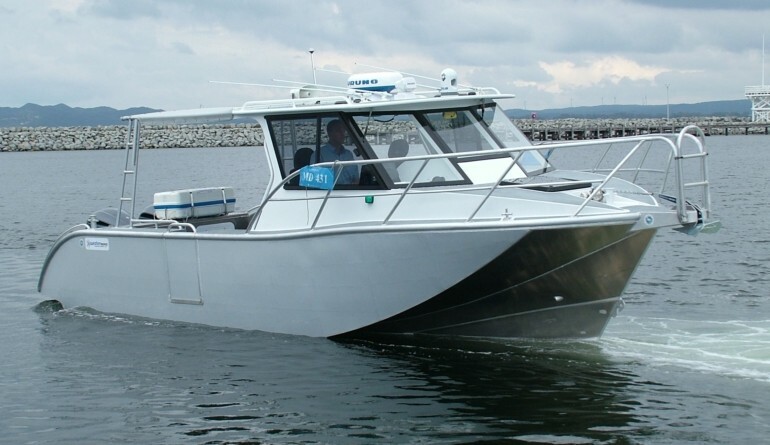 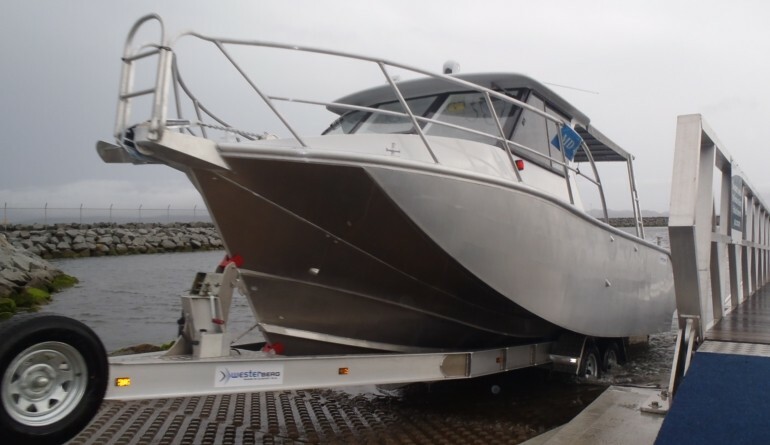 Although this vessel was designed for Marine Park patrol, this vessel is equally suited to crew transfer, dive charter, fishing charter or serious offshore fishing.